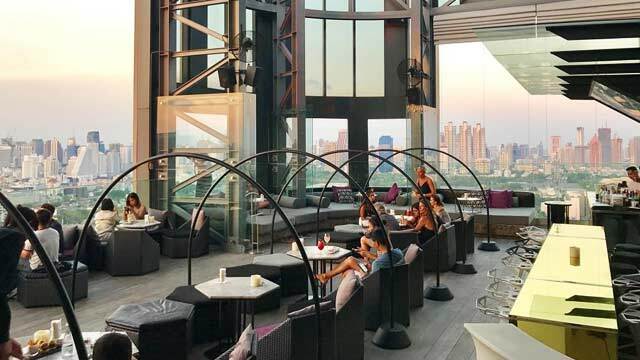 Up on the 29th floor of the SO Sofitel Bangkok you find both the Park Society rooftop restaurant and the HI-SO Rooftop Bar. 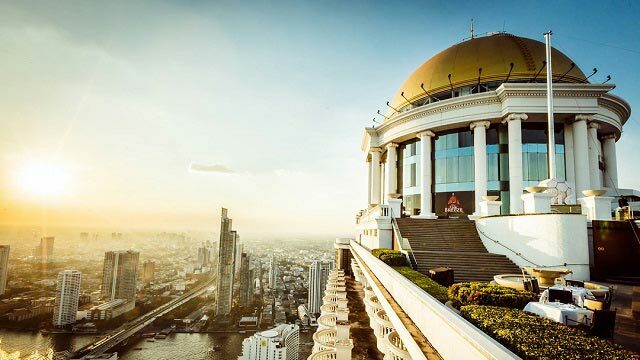 Both offering a great view in one direction over the Bangkok skyline and the beautiful Lumpini Park. 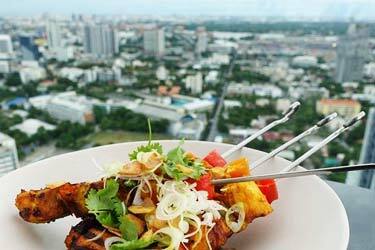 The Park Soicety restaurant offers "Modern Western Cuisine" of the highest class, with focus on dishes made for sharing. 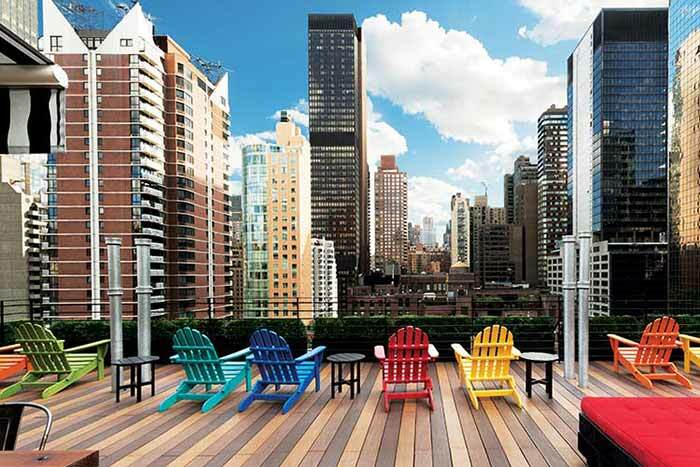 All in a beautiful setting. 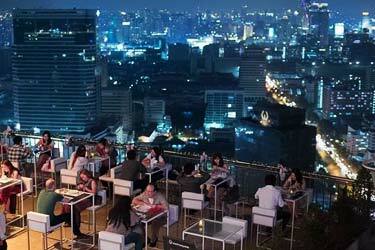 And before or after dinner (or anytime else) you can head over to the HI-SO rooftop bar. 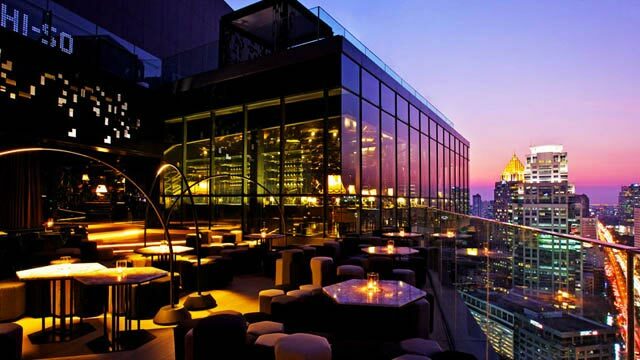 The bar offers creative signature cocktails, and also a wide range of bar bites, along with a nice and quick service. 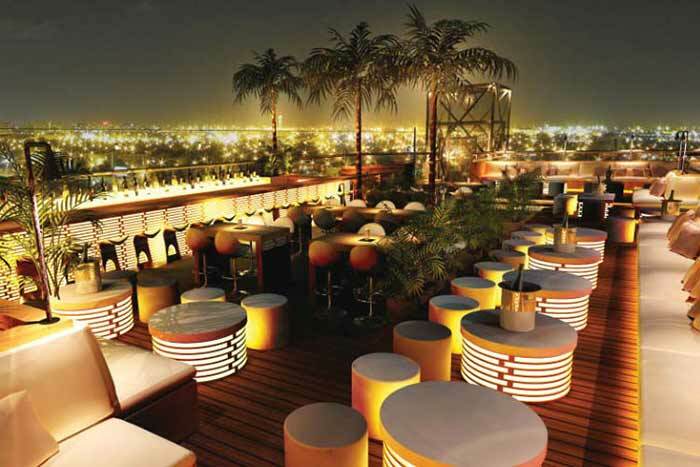 And if you manage to pinpoint the sunset at HI-SO rooftop bar, you are guaranteed a magical sight. 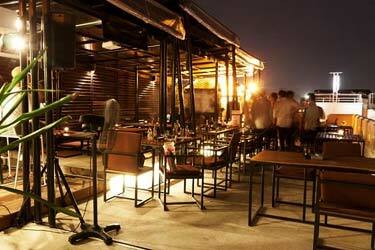 The interior on the terrace is sleek and futuristic, giving a classic cocktail lounge feel early evenings, and a nice party atmosphere during the weekends and nights. 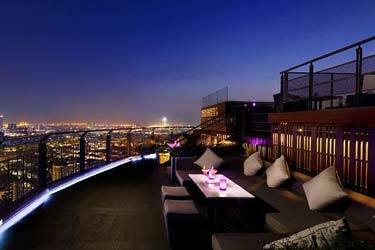 Oh, and don't miss the super nice lounge sofas by the edge of the terrace. 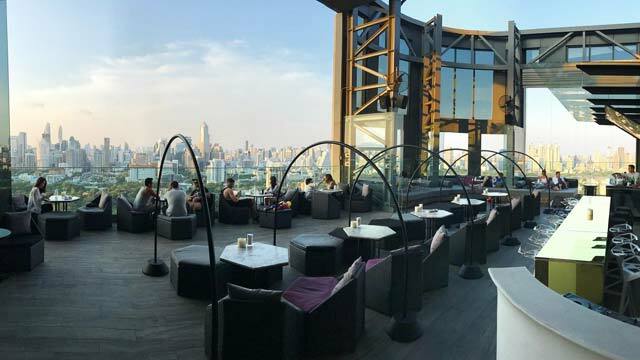 What is the dress code at HI-SO rooftop and Park Society? 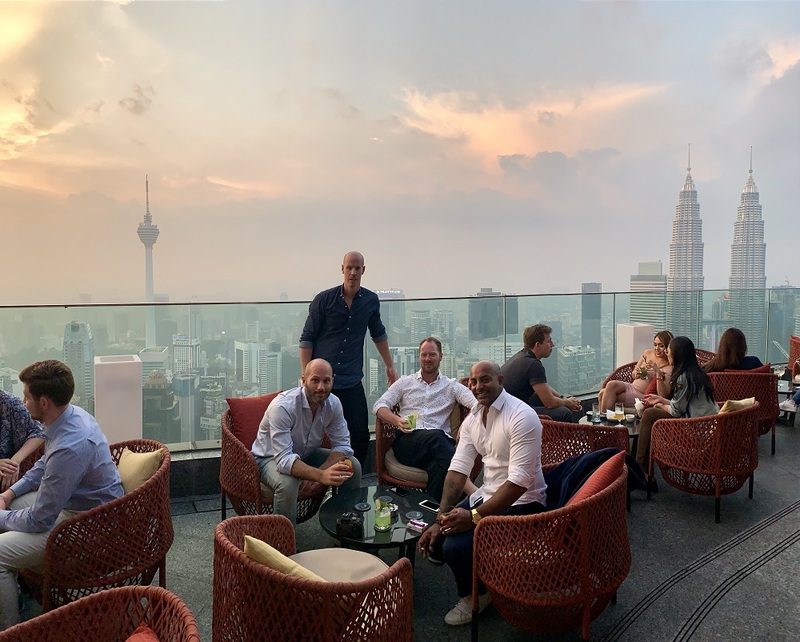 As for the HI-SO rooftop and Park Society dress code, it's smart casual. Dress well to blend in among the fashionable audience. 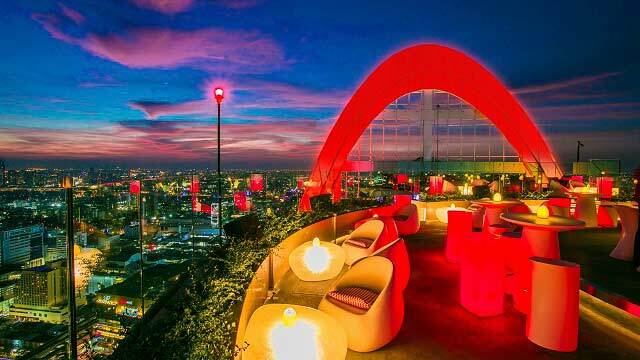 Also ranks as the best sky lounge Bangkok because of the lovely atmosphere - both regarding lounge feeling and party. 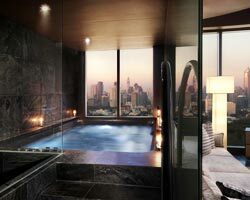 Tip: Get the most of your Bangkok visit by booking your stay at the amazing 5-star SO Sofitel Bangkok, and enjoy several rooftop bars and a fantastic rooftop pool. 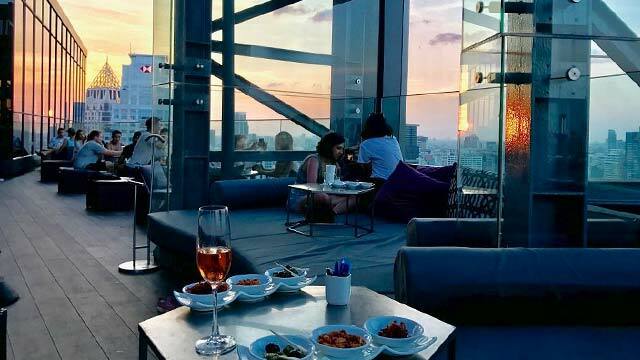 Read our review about when we visitd the wonderful rooftop bar, Park Society and HI-SO rooftop at SO Sofitel Bangkok in April 2017. Full review here.